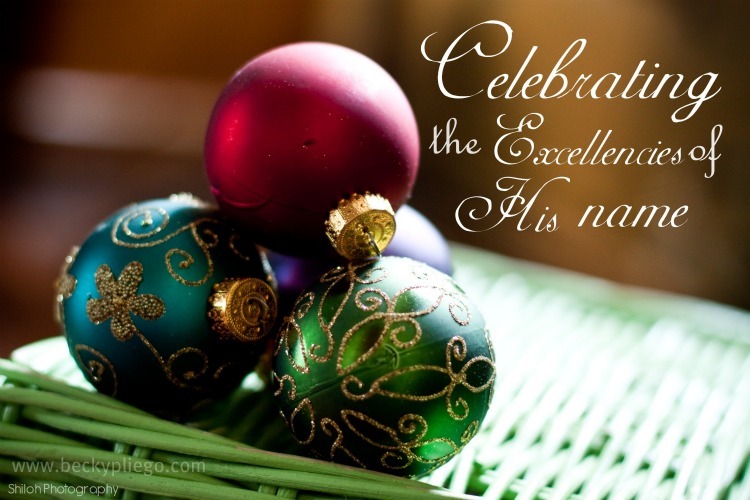 This entry was posted in Advent, Christmas, Excellencies_of_His_Name by Becky Pliego. Bookmark the permalink. This was such a huge encouragement! Honestly all I can say is AMEN!! AMEN!!! This is wonderful. I'm so thankful He is the perfect fullfillment of all our Father has promised! What you have written is beautiful in its entirety. We know that by His mercy and grace we can see, hear and love because of Him. Amazing Grace!!! He is the Great, the Perfect Amen! So comforting, Becky, I've just been sharing some of your post with Pete, he was greatly encouraged too. Thank you so much for this! God bless you. Oh what a mighty God He is. There are no words to describe this miracle or my gratitude! Beautiful words, my friend, words of grace and great comfort! Thank you! That blessed me this morning. Thank you, Becky.